Did you know that eggs aren’t the only thing you can slice with your egg slicer? Here are some great ideas of other things you can slice with this gadget. Gotta love a good kitchen hack! I have a little kitchen hack for you. Who here has an egg slicer? 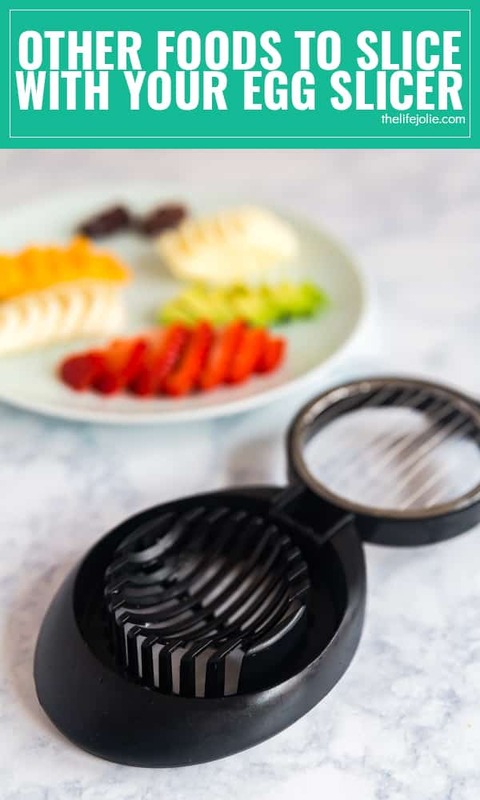 *waves hands in the air like a maniac* Well, if you don’t have one, it might be time to look into it because I’m about to show you some awesome uses for your Egg Slicer , outside of boiled eggs. I’ve been using an egg slicer for as long as I can remember. My mom showed me how to operate hers at an early age. This probably has a lot to do with the fact that I seriously love eggs. But until recently, I never thought to use my slicer for anything other than eggs. Then I realized there were a ton of things I could do with it and it opened up an entire world of possibilities to me and made life much easier So I want to share some of those uses with you. What else can you slice with an egg slicer? Butter– this is perfect for entertaining because you can have clean and uniform looking pats of butter all ready to go! Soft cheeses like fresh mozzarella and cheddar– Once again, a great way to have cheese slices ready to go for last minute guests. 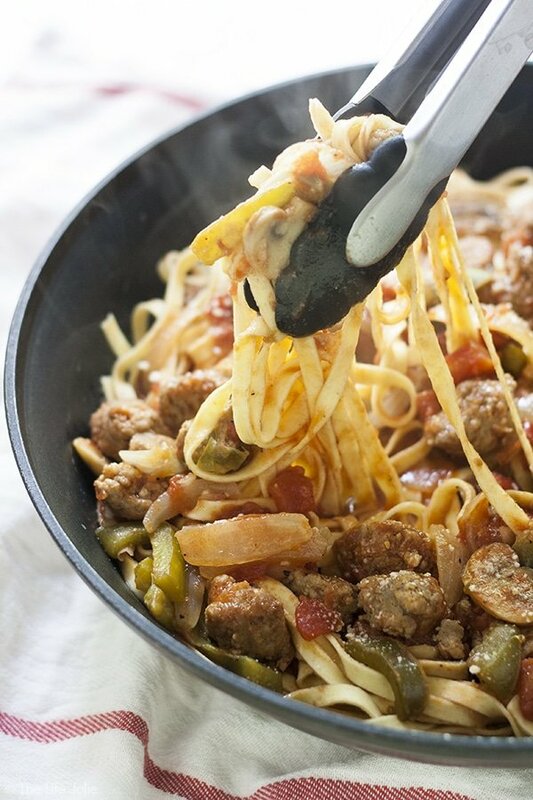 Olives– These are perfect to sprinkle over a salad! Strawberries– I love to use this trick in the morning. My girls live for strawberries and it always seems like I can’t cut them fast enough…until now! Kiwi and other soft fruits– The perfect addition to any fruit salad! 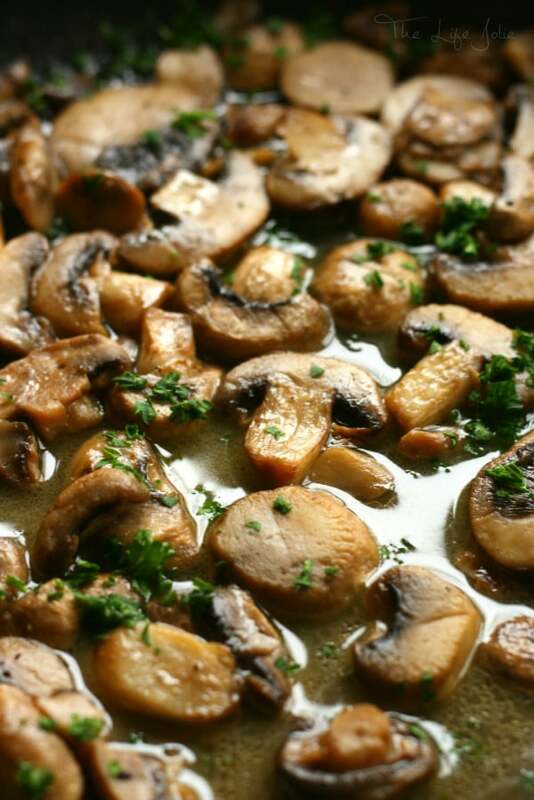 Mushrooms– I love how quick and easy this makes it to slice up mushrooms for pasta or sautéed mushrooms. Hot dogs– When you’re past the point of cutting them into teeny, tiny bits for your kids but still not giving them the whole hot dog, this is the quickest way to get them cut! Avocado– It goes deliciously on pretty much anything and looks so pretty when thinly sliced! Zucchini– the most efficient way to slice these up before sautéing or adding it to your grill basket. Cooked potato– boil ’em down, slice them up and fry them! Cooked carrots– perfect before putting them into soup!